Born in Aarhas, Denmark, Christian Steenstrup migrated to America in 1894, joining a friend at Bridgeport, Connecticut, to work for a large company manufacturing artillery and ammunition. He had been trained as an apprentice in a machine shop for three years and as a journeyman for two years. While working, he attended night school to acquire a technical education. In 1901, following a strike at the ammunition company, he sought employment elsewhere to support his family. He came to Schenectady General Electric one day with some friends and found a crowd of men waiting at the gate for employment. A man with a bullhorn asked if there were any mechanics in the crowd and Chris presented himself. He was hired immediately as a mechanic's helper. It was not long before his inventive genius became apparent. He developed a method of hydrogen brazing which became a manufacturing process widely used in the production of reliable, leak-free connections. The invention won him the prestigious Charles A. Coffin Award. He served as Supervisor of Mechanical Research and was responsible for the design and development of a variety of equipment used throughout the Schenectady Plant. He became involved in several large turbine construction projects and made contributions that added to the efficiency of these units. 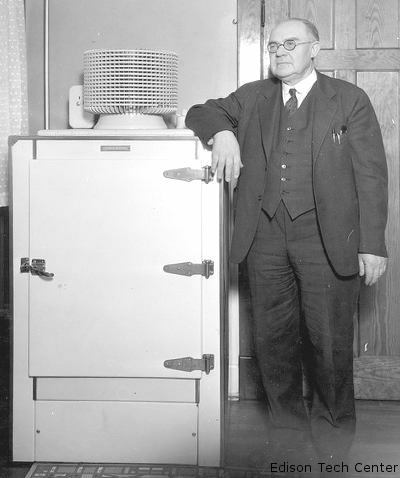 Chris rose to the position of Chief Engineer of the Electric Refrigeration Department which was organized in 1927, after his work led to the design of the first successful hermetically sealed refrigerator. 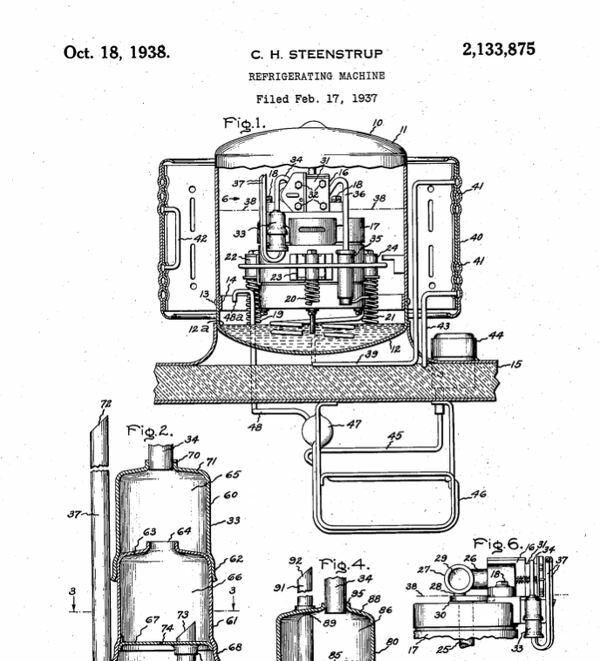 The original patent of the refrigerating machine was filed on November 13, 1926 and granted on April 15, 1930. Thirty nine additional patents in refrigeration followed that initial work. In 1936, at the Centennial celebration of the American patent system, he was identified as one of the 20 living Americans awarded 100 patents since the founding of the system. 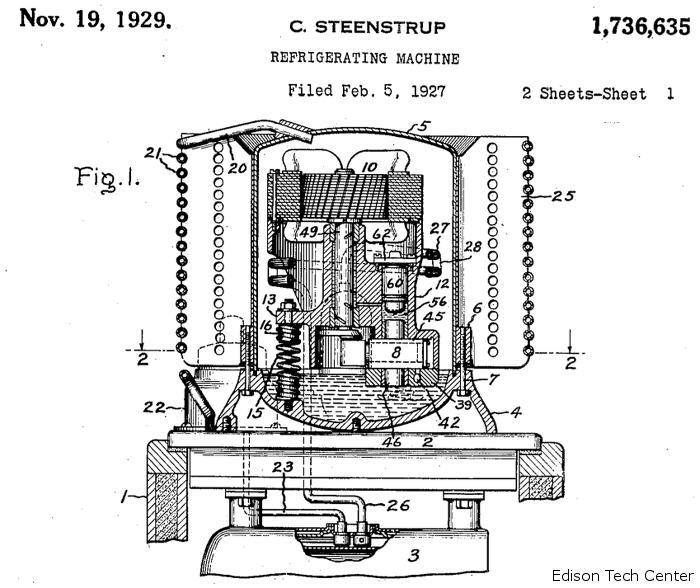 Under Steenstrup's guidance, a relatively small, but highly trained group of Factory Contact Engineers and a quality conscious organization steadily raised the quality level of electric refrigerators until a degree of perfection was attained that had probably never been experienced with a manufactured article of such complexity. From the very first day of his employment in GE, Steenstrup never hesitated to interject an idea when he thought it could help a colleague or the Company. In 1949, he was honored by the National Association of Suggestion Systems for his pioneering work in 1906 leading to the development of a suggestion system that had since brought many benefits to the Company and its employees, and has served as a prototype for industry. An American home today without an electric refrigerator is a rarity, but in the early 1920's only a few thousand homes in this country had refrigerators, and nearly one half did not have an icebox. Christian "Chris" Steenstrup changed all that when he took an idea conceived by a French monk, Marcel Audiffren, and championed by Ft. Wayne's James T. Wood, and adapted it for mass production and consumer acceptance. 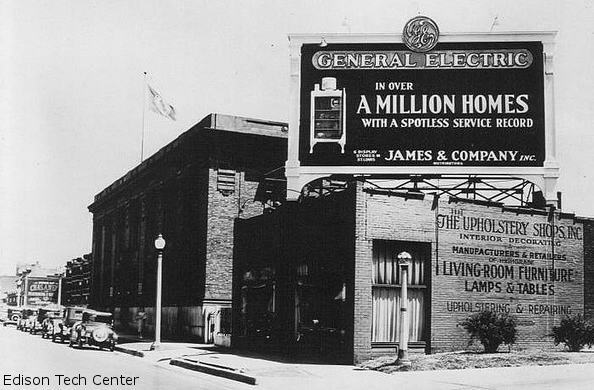 Prior to Steenstrup's invention, refrigerators produced by General Electric at Ft. Wayne under contract to the American Audiffren Co. of N.Y. sold for as much as $1,000, twice the cost of an automobile.